EK-XRES 140 Revo D5 – Plexi is a high-performance stand-alone pump top (volute) for Xylem D5 series water pumps with an integrated reservoir. 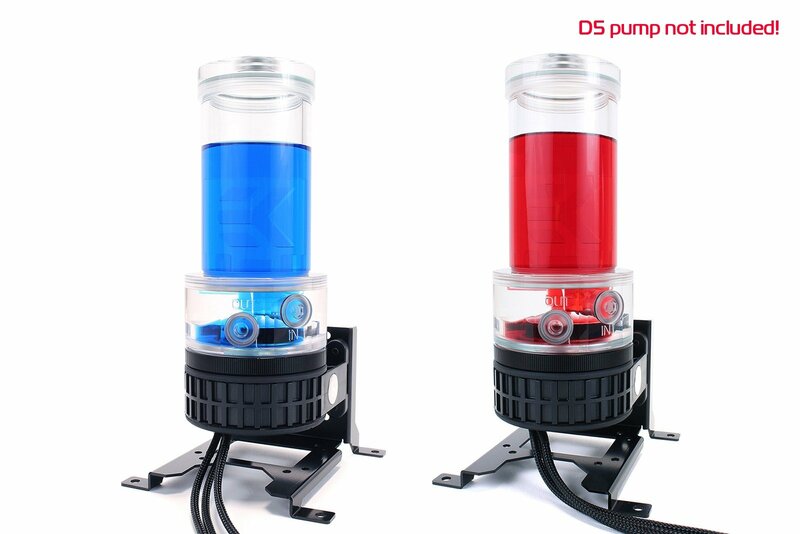 This top offers increased hydraulic performance (up to 15%) compared to factory top. 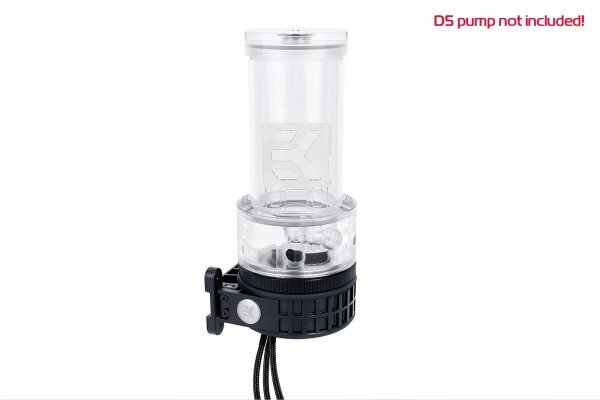 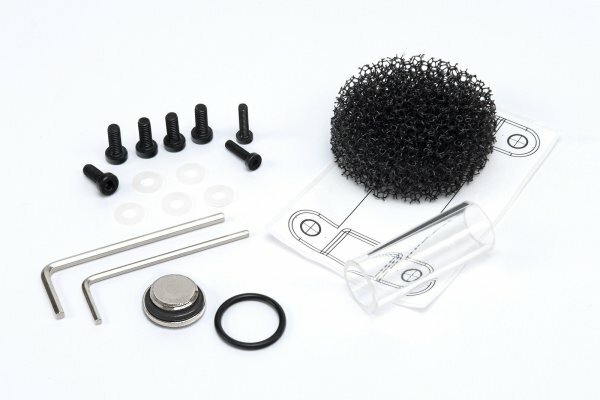 This stand-alone pump top kit does not include a pump! 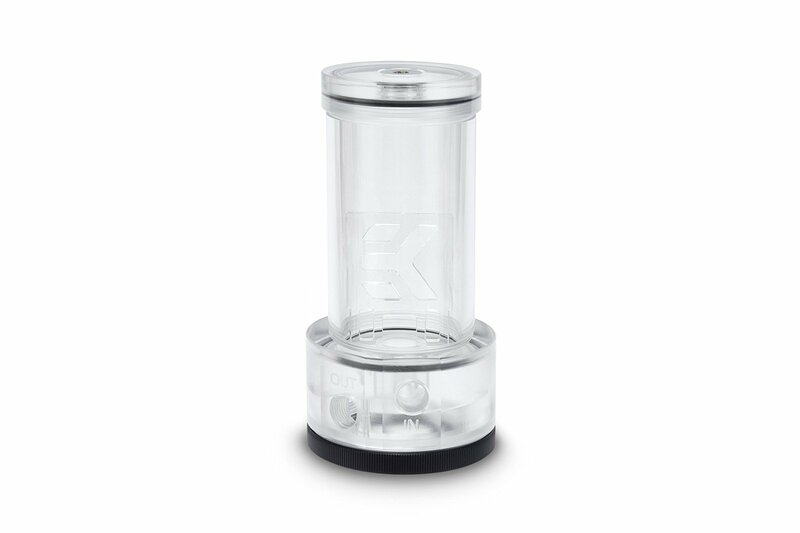 EK-XRES 140 Revo D5 – Plexi features a fully rounded see-through acrylic design thus offering stunning looks and greater usability. 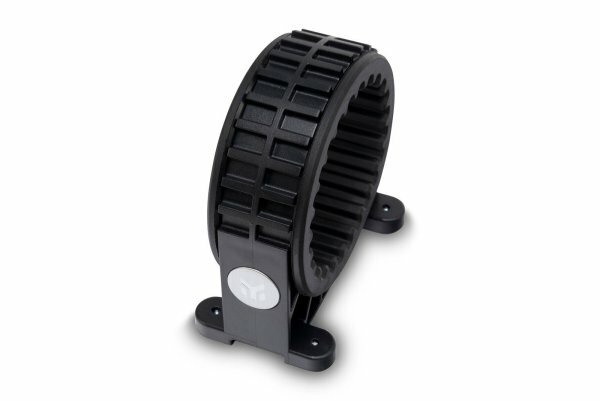 This allows installation at any angle within 360° of rotation. 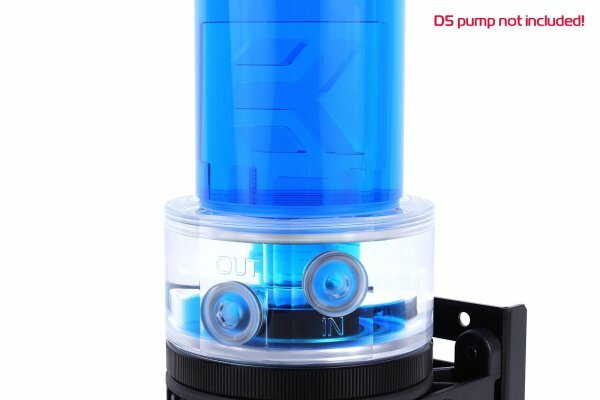 Special rubber shock absorber is used to de-couple the main pump body from the mounting clip for silent operation, free of vibration induced noise. Additionally, horizontal and vertical positioning is supported for easier tube routing possibilities. 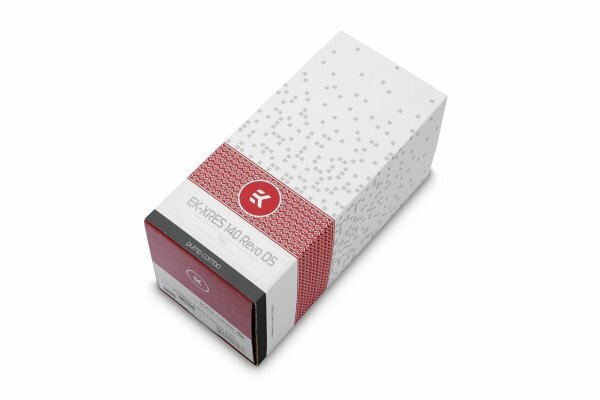 EK-XRES 140 Revo D5 – Plexi series reservoirs come preinstalled with anti-cyclone insert. 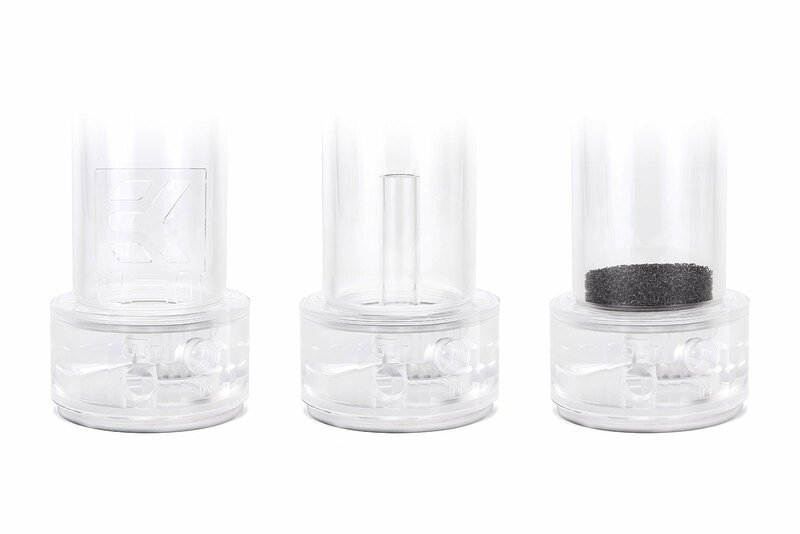 Optional PU anti-vortex foam and EK-HD Tube is enclosed for additional options.